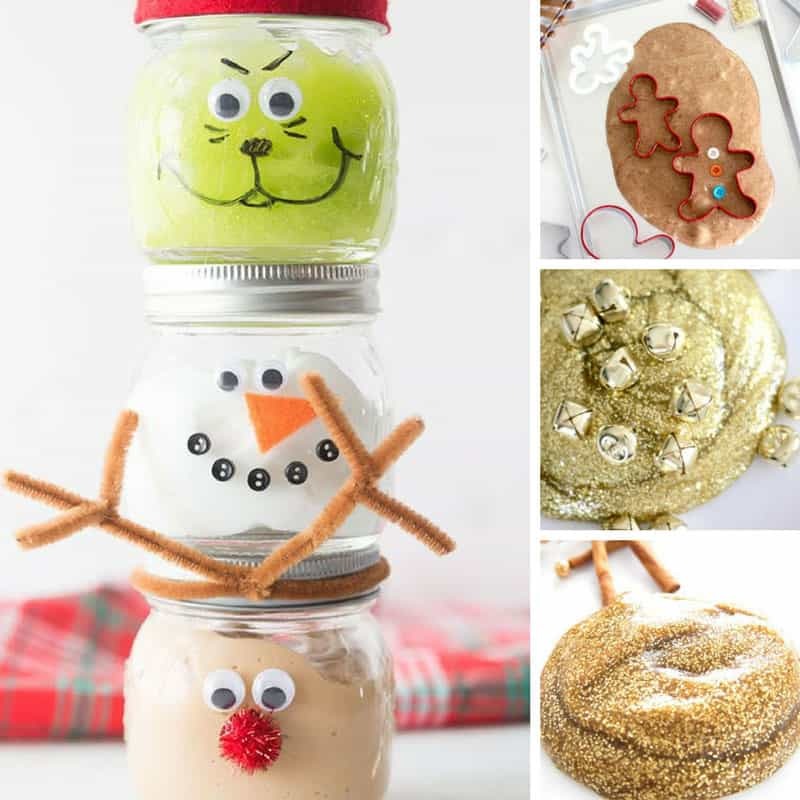 These Christmas slime recipes are perfect for stocking stuffers, party favors or just having fun at home! 2017 has been the year of SLIME so I couldn’t resist pulling together a collection of the best Christmas slime recipes! I found everything from Santa Suit Slime and Christmas Tree Slime to Snow Slime, oh and my favourite the Christmas Explosion Slime! Let your kids have fun making their own slime before playing with it, or have them fill up some jelly jars so they can give slime gifts to their friends! Christmas slime makes a brilliant stocking stuffer or Christmas party favor! Whichever slime recipe you choose just remember that there’s only one glue when it comes to making slime and that’s Elmer’s. Grab some from your local store, or if they’ve sold out (Elmer’s is a little like gold dust these days) order some from Amazon instead! As always be sure to scroll all the way to the end so you don’t miss any of the great ideas. And don’t forget to save your favourites to your Christmas Pinterest board as you go! No time to make your own slime? Buy it ready made from Etsy! Next PostNext 29 DIY Table Runner Projects to Turn Your Table into a Show Stopper!